Contoured handles designed to fit your hand. Durable hardened stainless steel blades with a designer pattern to add fun to your cutting. 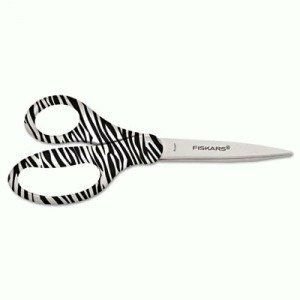 Cut Length: 1 3/4"; Scissor Length: 8"; Tip Type: Pointed; Handle Type: Straight.